This lovely 1 bedroom unit for 4 person is of our resort in the south of the city. 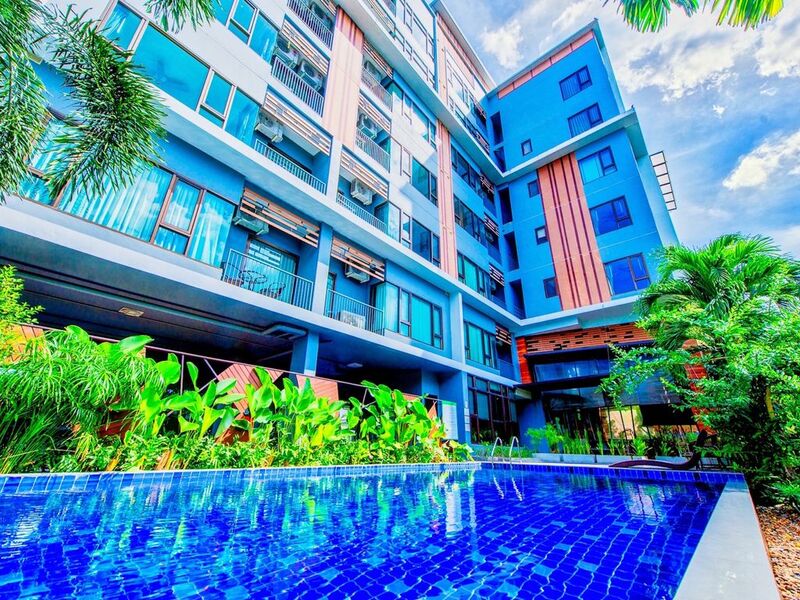 Those frequently travelling into and out of Chiang Mai will appreciate the fact that the Boutique resort is located just a few minutes away from the City. There is restaurant near the resort with prices as low as 60 baht for breakfast. This location also makes it a very easy drive into the city center and there are also many shopping malls within just a few minutes’ drive from the project. There are also several modern hospitals close to the development. Just 2 minute walk away from all the shops and 7/11. The building also has a large pool which also features a beautiful waterfall, children’s playground area and kids pool, fitness center and a BBQ area, shops, car park and 24 hour security with key card access. Any place if you would like to go , please feel free to asking us how to go there. You can use the bikes for free or rent motorbikes or cars, belonging to the resort. Please bring driver licenses. There are taxis 200m. away. But you can also rent a scooter if you want to go around for about 200 baht/ day. The area is very quiet - the traffic is convenient and we have 4 bikes you can use for free about 2 km to Night Bazaar. There is restaurant near with many shops and 7/11. From the reception you can also order tours, rent motorbikes/car.